How Do Tiger Salamanders Mate and Reproduce? When tiger salamanders reproduce, the male deposits a spermatophore and the female lays her eggs and fertilizes them with it. A female can lay between 25 and 50 eggs at one time and can produce as many as 1,000 eggs in a reproductive season. 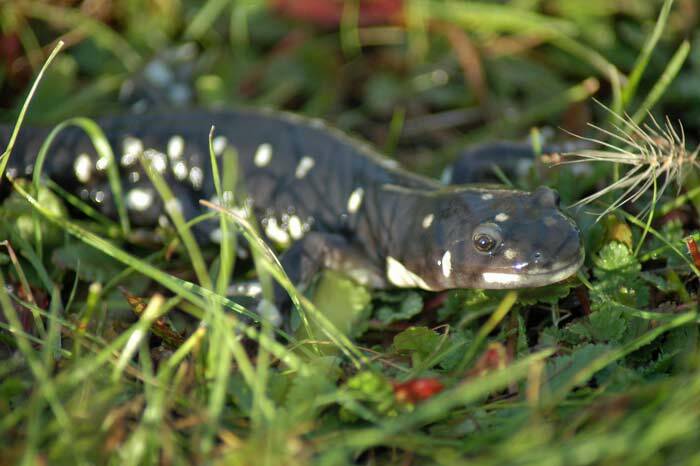 Tiger salamanders usually live underground, but they come out from under the ground to breed in wetlands when seasonal rains begin. They come out to breed at night and usually breed around ponds. Males and females engage in courtships before breeding. The males attaches their spermatophores to rocks or other objects underwater and the females use these to fertilize their eggs. Females attach their egg masses to leaves and twigs underneath the pond. Cute Overload: Pig Wearing Sundress Snuggles with Kitten!